The public support to close loopholes in the EU shark finning ban during last year’s European Shark Week (October 15th – 23rd) has been phenomenal. Thanks to the 165,000 people who signed the “Make the Push” petition, we are getting closer to make shark protection in Europe a reality! I am proud to be part of this effort. 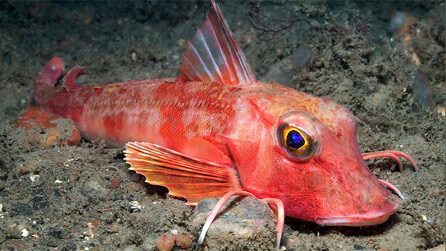 Red gurnards are bottom-dwelling fish to be found on gravelly, sandy, or rocky seabeds around the UK. 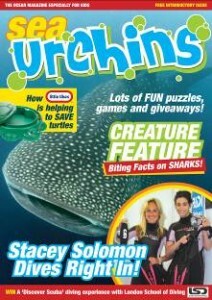 They feed on smaller fish and crustaceans. Meet Bernard the Gunard – He’s red, he’s got scales and fins, he lives on a seabed in UK waters, and he’s on a quest to make sure the UK’s marine wildlife gets the protection it needs. He is the new face and voice of The Wildlife Trusts’ ‘Petition Fish’ campaign. He stars in an animation telling the story of his plight to find a marine utopia in the form of his very own MPA, a refuge for him and the other sea creatures he lives with. The animation contains a strong call to action – to support The Wildlife Trusts’ Petition Fish campaign. The aim of Petition Fish is to demonstrate public support for Marine Protected Areas by gathering signatures online, by text, and at Wildlife Trust events.